Net Metering, the concept and laws that allow solar electricity producers to connect to the grid and sell back energy, is under attack in the United States. Florida has been spared from the recent trend of utility companies working publicly to repeal or amend Net Metering laws. Utility companies in other states have taken various public and well-funded measures to repeal Net Metering laws or to make Net Metering less attractive to solar energy customers. For example, Arizona utilities recently succeeded in adding a fixed charged for solar producers based on photovoltaic system size. While it was opposed by the solar industry and the final amount was far less than proposed by the utility lobbyists, it was seen as a victory for the utility industry and a dangerous precedent by the solar industry. Florida is particularly vulnerable because Net Metering is virtually all we really have to encourage solar electric (PV) installations. 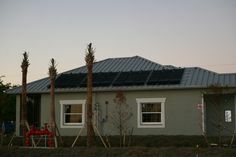 Lack of state and sensible utility rebate programs puts Florida way down the list of states in terms of new and existing installed solar electric capacity. As a result, Net Metering opponents likely see Florida as a blip on the radar, choosing to focus their efforts elsewhere. 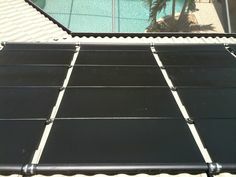 The loss or instability of Net Metering in this state would be devastating to the industry. Opponents of Net Metering in other states are pushing their agenda under the guise of less regulation, less government, and lowered solar subsidies. This is the same utility electric industry that would not be possible without strong regulation, government protection (monopoly status), and massive fuel subsidies and tax breaks. This is a power struggle (pun intended). Follow U.S. Rep. Kathy Castor (D-Tampa/St. Petersburg, FL) and State Rep. Dwight Dudley (D-St. Petersburg) who are pushing for energy policy reforms in Florida. Read the Florida Net Metering Rule, Rule 25-6.065, F.A.C. 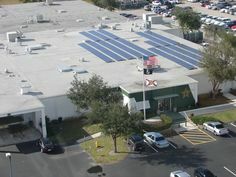 Join Net Metering in Florida and watch their video below.